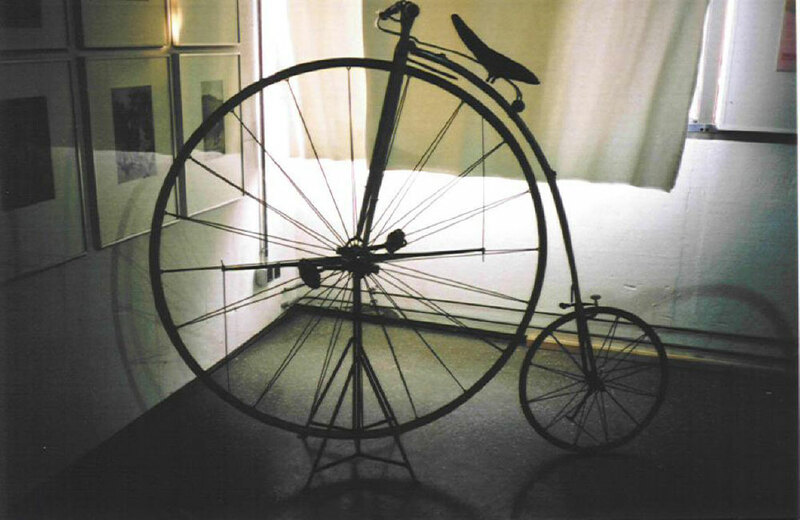 In the middle of the 19th century cycles were made of iron and wood. 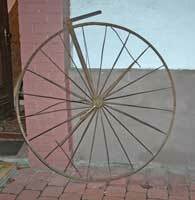 The wheels were made similar to cartwheels, using wood and steel rims, or cast iron. Uncomfortable and heavy, they were known as boneshakers. 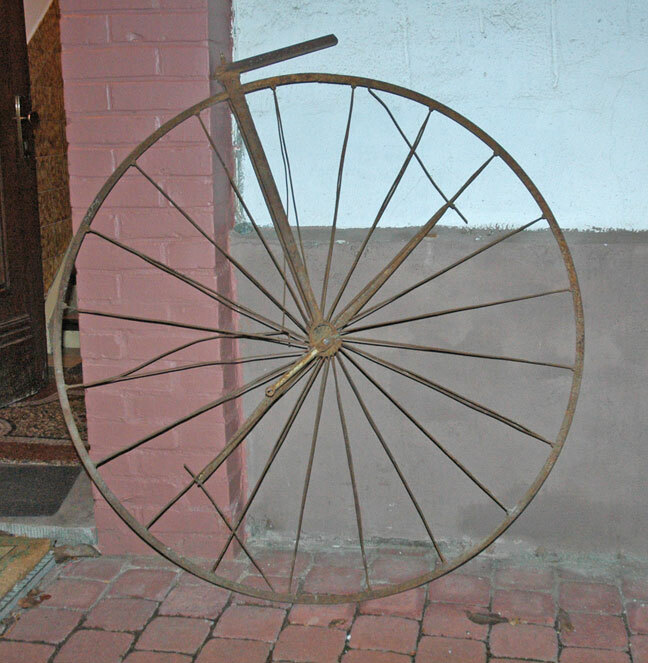 An impovement was made when rims were coated with rubber or fitted with a solid rubber tyre. 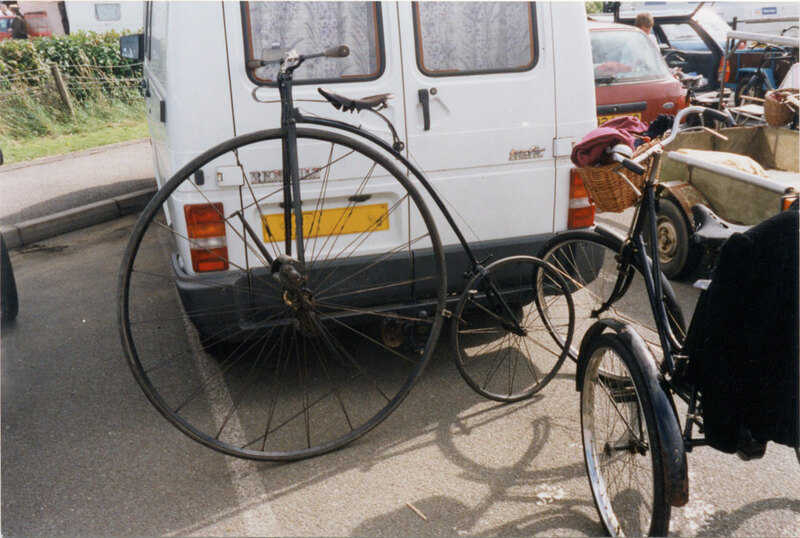 A late boneshaker is shown on the right. 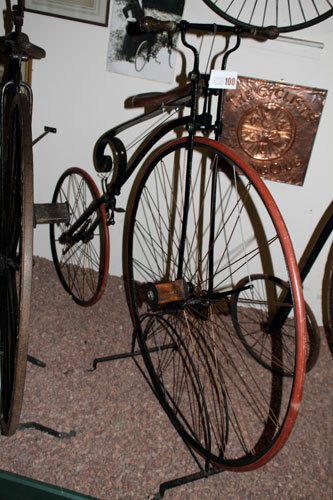 Then, in 1871, James Starley and William Hillman developed the first wire-spoked wheel. 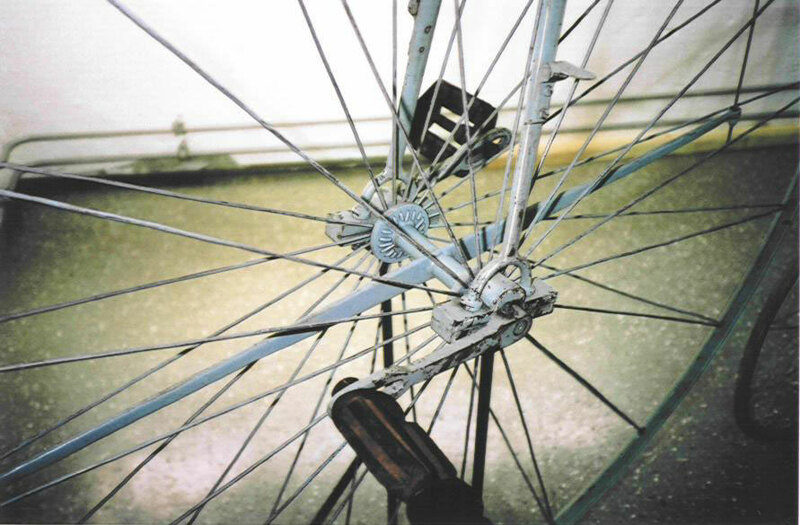 Their initial design used radial spokes tensioned by two turnbuckles that rotated the rim around the hub tensioning all the spokes together. Starley built his own cycles, of the well-known penny-farthing type (more properly called ordinary or high bicycle), with his lightweight wheel. 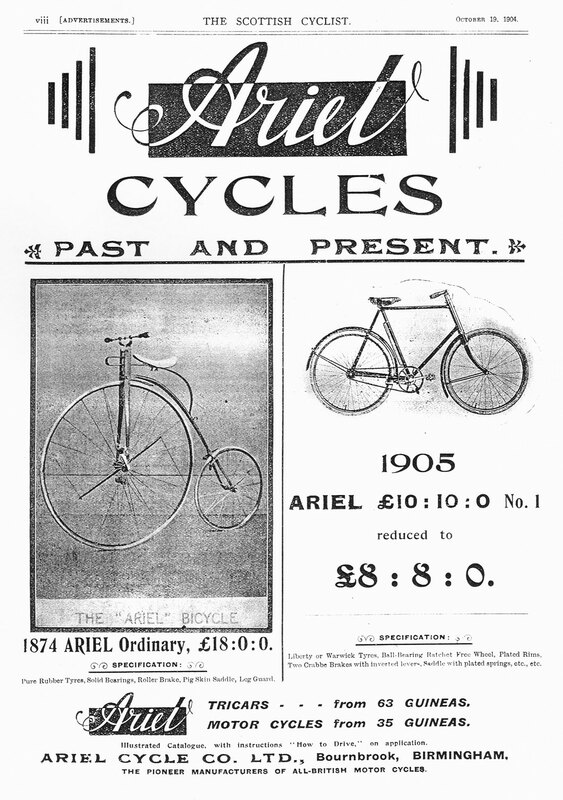 The name he chose for this new style of cycle was 'The Ariel'. 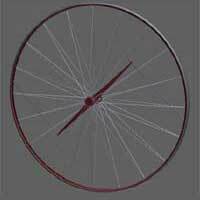 To the cyclist of the time it must have been a revelation. 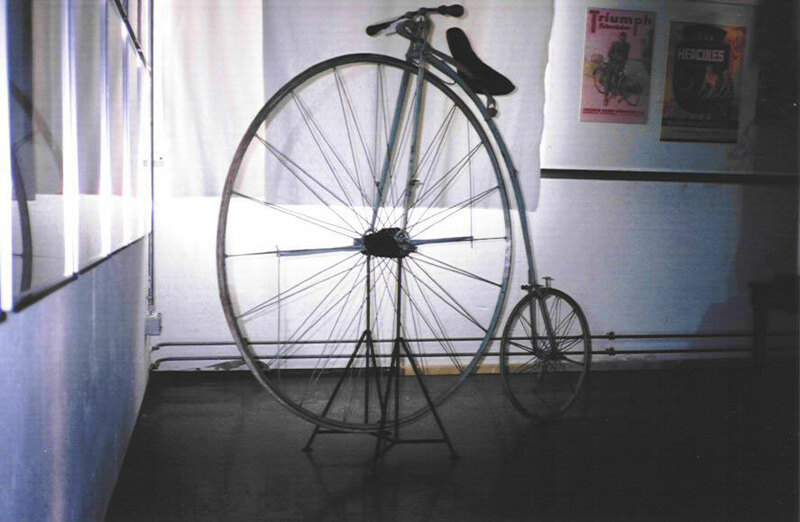 He not only sold his own Ariel cycles but also sold his wheel to other makers, so not every penny-farthing with a Starley wheel is necessarily a Starley Ariel. 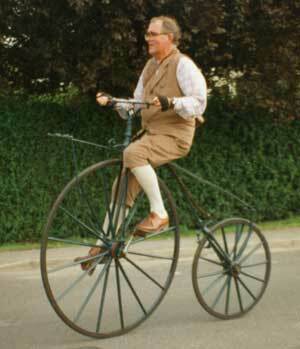 Only a few years later he developed the tangentially spoked wheel so the Ariel wheel was short-lived. 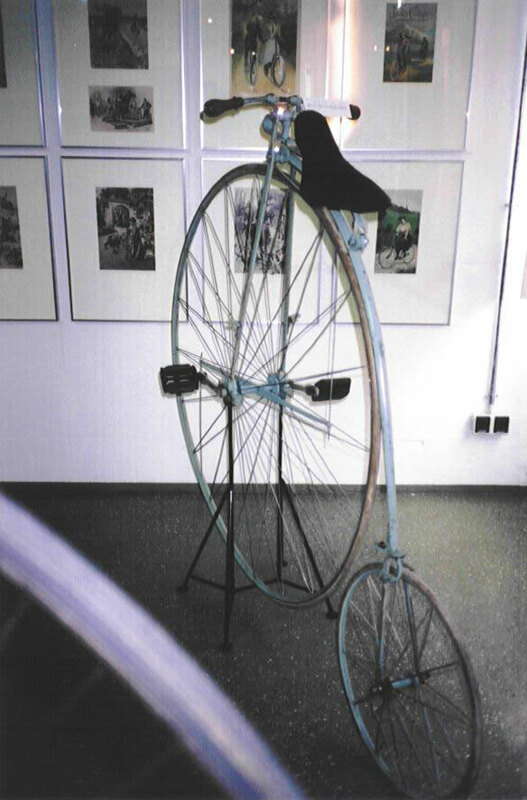 The Starley family were significant in the development of the effective bicycle, going on to work with the Coventry Machinists, Rover, Swift and so many other names from the great days of the rapid development of the cycle as a truly practical form of transport. Some Starley Ariels have survived. One that was well-known for many years is shown on the left. It looks so much lighter than the boneshaker. The tensioning arms and rods can be clearly seen. This particular Ariel was owned by the famous Wall of Death rider Tornado Smith. More pictures of this Ariel can be found by following the link to the website about him. 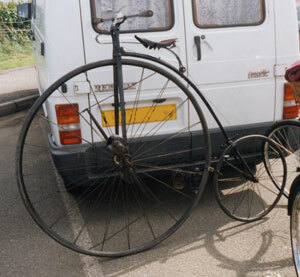 He used the Ariel mainly for publicity purposes, cycling around handing out leaflets promoting his shows. The Ariel is now owned by a Veteran Cycle Club member. The Starley was the first to bear the Ariel name. These Ariels had no direct relationship to the Ariels built at Selly Oak. However, the name passed through various hands before Charles Sangster acquired it in 1896, so there is a lineage. Ariel recognised this link in their own advertising, see below. A less practical version was a side-saddle design for ladies. 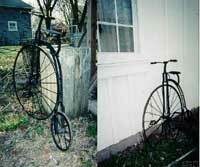 This had the rear wheel offset to one side and was treadle operated. It is doubtful whether it was ever used. More Starley Ariels are shown below. Click the thumbnails to see larger images.